Develop compelling character arcs using the power of myth! In the best novels, characters undergo dramatic changes that keep readers turning pages. 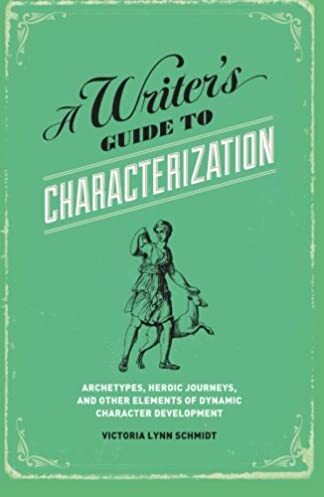 A Writer's Guide to Characterization shows you how to develop such meaningful character arcs in your own work-stories of transformation that will resonate with readers long after the story ends. In this comprehensive guide, author Victoria Lynn Schmidt examines cross-cultural archetypes to illustrate how they can make your work more powerful and compelling. Plus, you'll learn how to draw from Jungian psychology to add complexity and believability to your characters. Schmidt also provides: 40 lessons on character development (with examples from well-known films and novels) that you can apply to your own work Questionnaires and exercises to help you select male and female archetypes and adapt them to your story 15 classic animal archetypes (including the coyote, snake, tiger, and butterfly) you can use to build convincing character profiles With A Writer's Guide to Characterization, you'll have the information you need to infuse the development of your characters with drama and authenticity. This product was added to our catalog on Friday 12 April, 2019.